More and more brands are taking advantage of the power of content to drive leads, conversions, and sales. MWI’s content marketing services combine expert strategy, solid execution, and targeted outreach to help your business achieve real growth. Strategy. Before we plan, design, or create any piece of content we do in depth research on our client’s customers. We build a content strategy that both creates value for customers and accomplishes our client’s goals. Execution. With a solid strategy in place, our content experts get to work creating high-quality content that stands out from the competition. Promotion. Great content needs to be put in front of the right audience to be effective. We work with our partners in media to drive targeted traffic to our content that converts. Beardbrand is an industry-leading online retailer of beard products for the urban beardsmen. Their brand recognition grew through PR features such as the New York Times as well as an appearance on ABC’s Shark Tank. 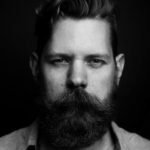 Beardbrand approached MWI to leverage all of this content and build a roadmap to ensure revenue growth through content marketing and SEO. A content strategy was developed that incorporated a mix of customer guides, PR placements, blogs, and infographics all helping to drive traffic and convert customers online. MWI saw a unique opportunity to create a viral piece of content during the presidential debates showing candidates with full beards. This piece of content caught fire and was viewed more than 100k times in only ten days. The piece was picked up by the Huffington Post and other internet publications. Want to chat about your content marketing strategy? If you've got questions, we want to hear from you. Once you fill out the form below, a member of our strategy team will contact you. Our goal at MWI is to do great work for great partners.